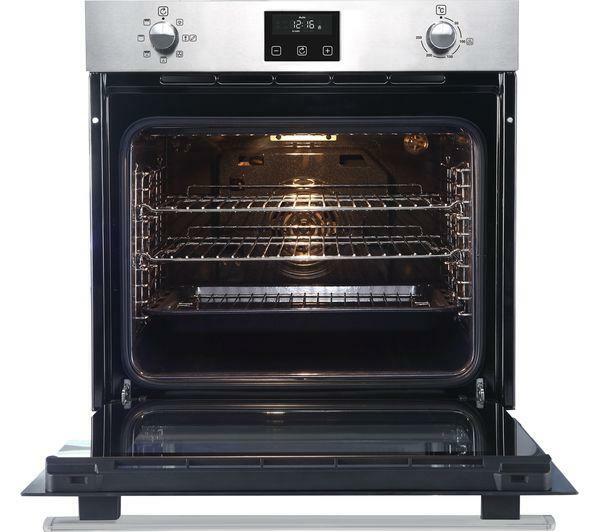 Whether you're cooking for one or preparing a meal for the whole family, the Belling BI602FP Electric Ovenoffers you plenty of options to create a variety of meals with ease. 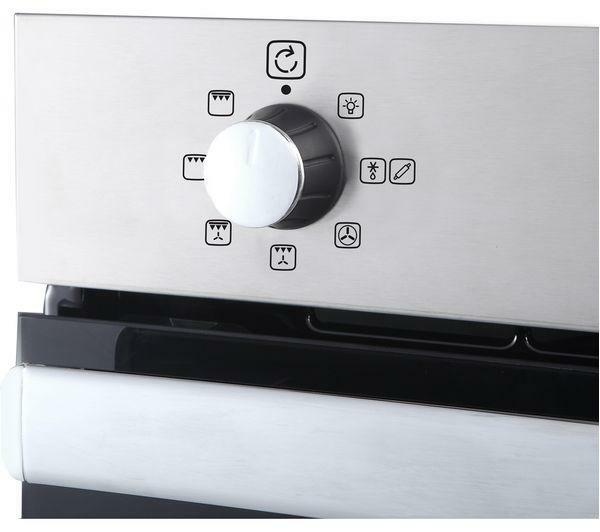 The Equiflow fan heating system makes sure that heat is distributed evenly, as well as preventing flavours from mixing and mingling - you'll be able to cook a joint of meat and prepare a cake for dessert at the same time. If you have time, use the slow cook and dough proving functions to thoroughly and evenly cook food at low temperatures, so your dish will be waiting for you when you get home after work. With a large 70 litre capacity, you can prepare large meals with confidence - adjust the shelves to cook different sized dishes. Cleaning up after a big meal can be a hassle, but the BI602FP's enamel coating helps to make it easier. Food is prevented from sticking to the surface, so you can wipe away spills with less hassle. 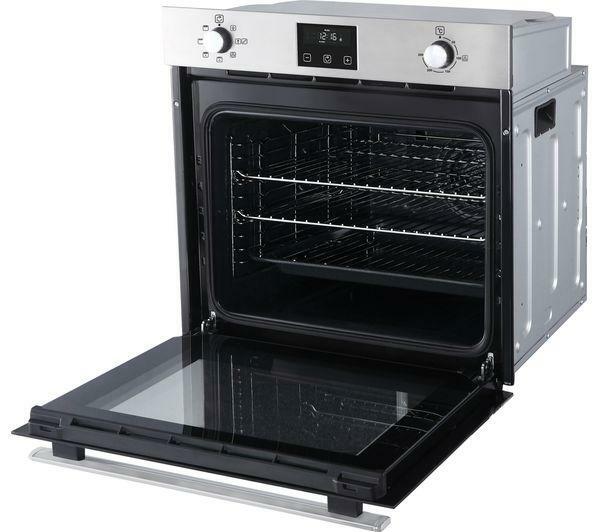 If you're in the mood for a toasted snack or simply want to add extra crispiness to your lasagne, the variable rate grill offers you even more cooking options. 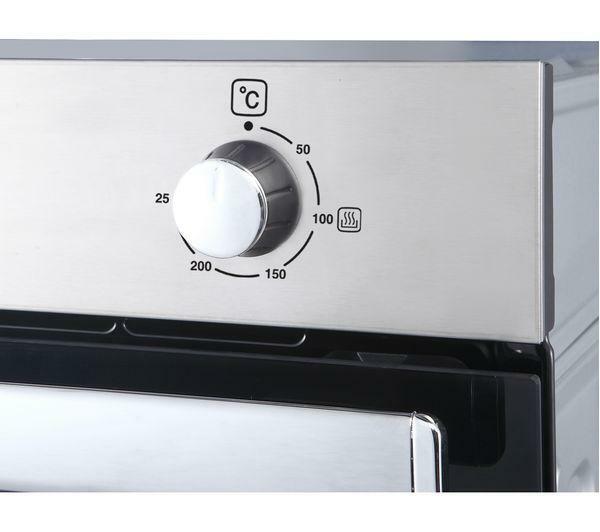 Alter the temperature to suit different food types and use the full-width grill pan to make the most of the cooking space. 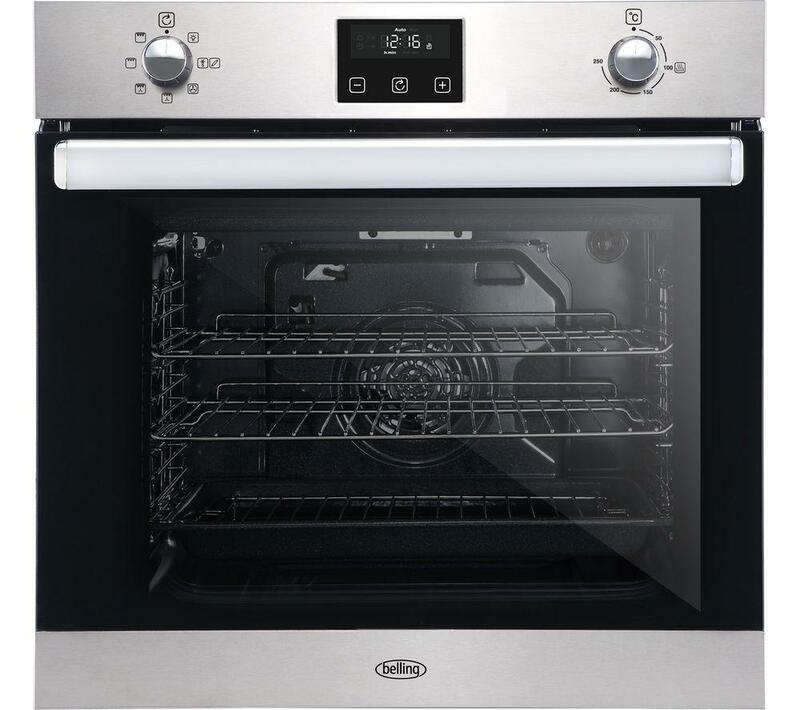 To save you time and effort, the inner glass door can be removed for easy cleaning so that the oven stays in pristine condition.